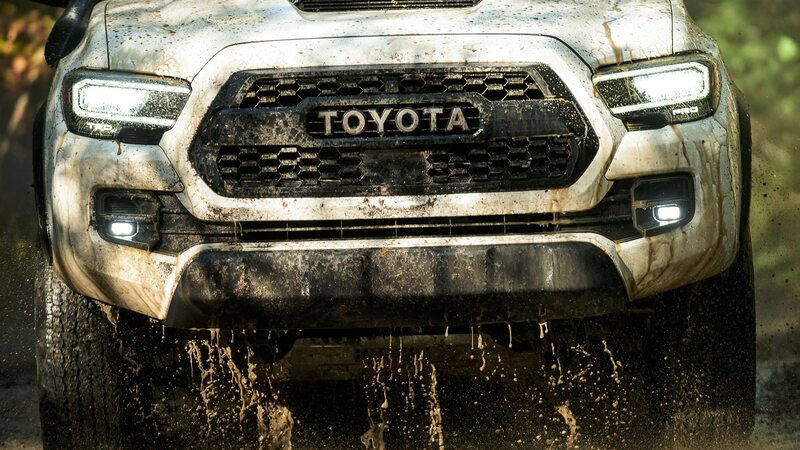 New aesthetics and new equipment across the entire Tacoma line. 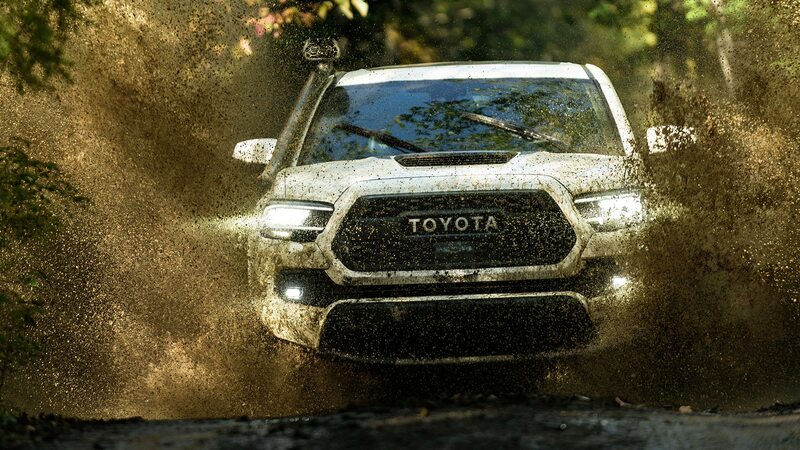 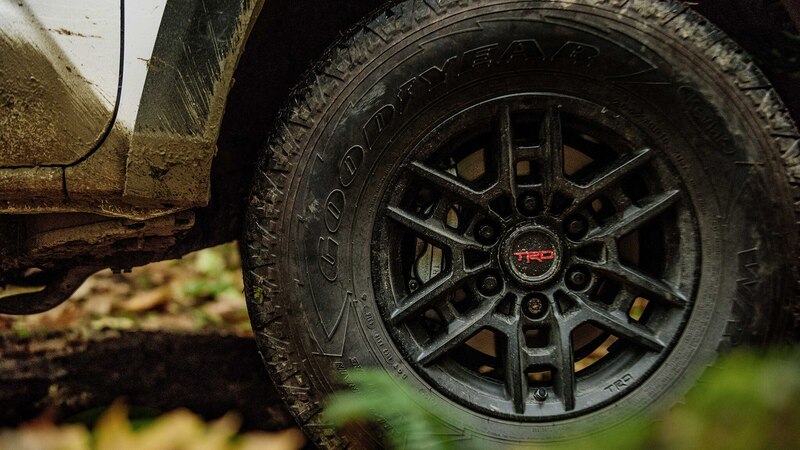 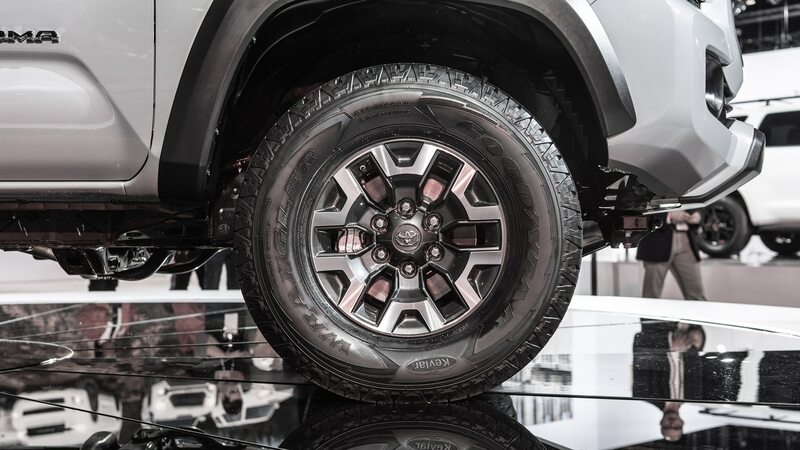 Most of the six trims—SR, SR5, TRD Sport, TRD Off-Road, TRD Pro, and Limited—available on the third-generation pickup now sport a new grille and fresh wheel designs. 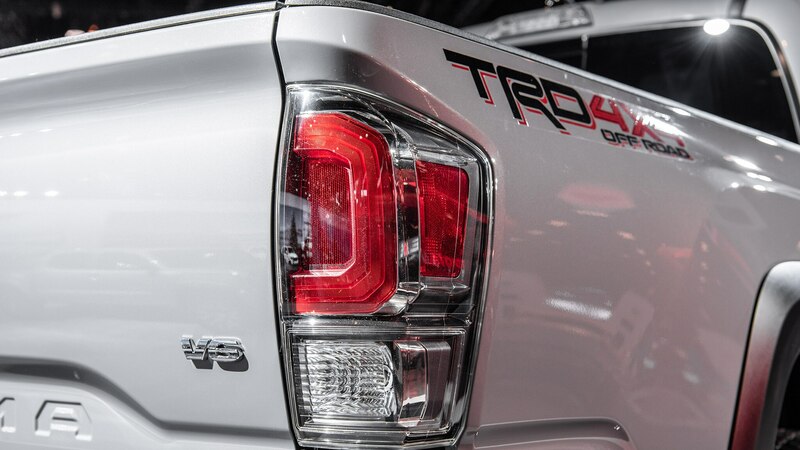 Power still comes from a 2.7-liter four-cylinder with 159 horsepower and 180 lb-ft of torque, or the upgrade 3.5-liter V-6 with 278 horses and 265 lb-ft. 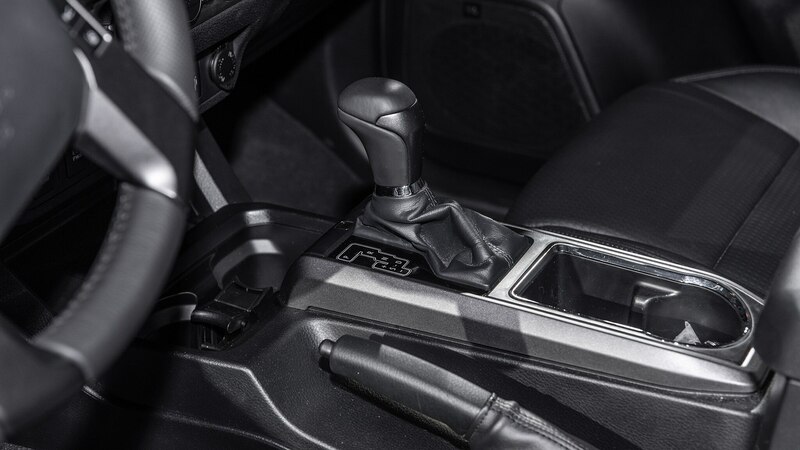 Both are mated to a six-speed automatic transmission, while the V-6 can thankfully still be had with a six-speed manual on the TRD Sport. 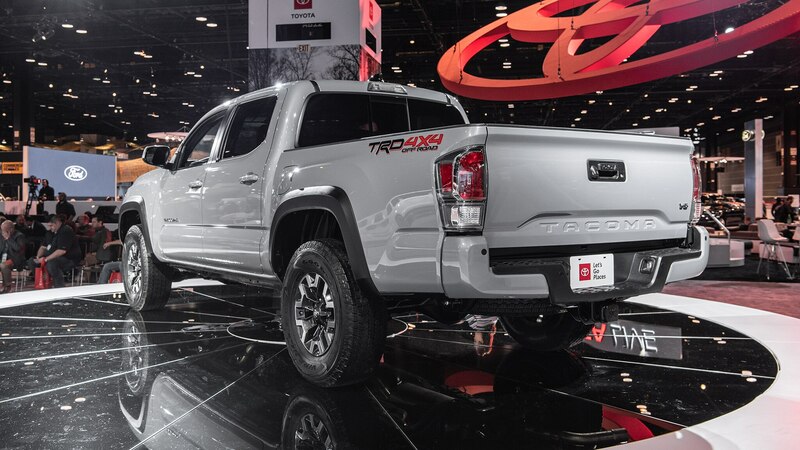 V-6 Tacos serve up a standard tow package and can pull up to 6,800 pounds of beef (or chicken or pork). 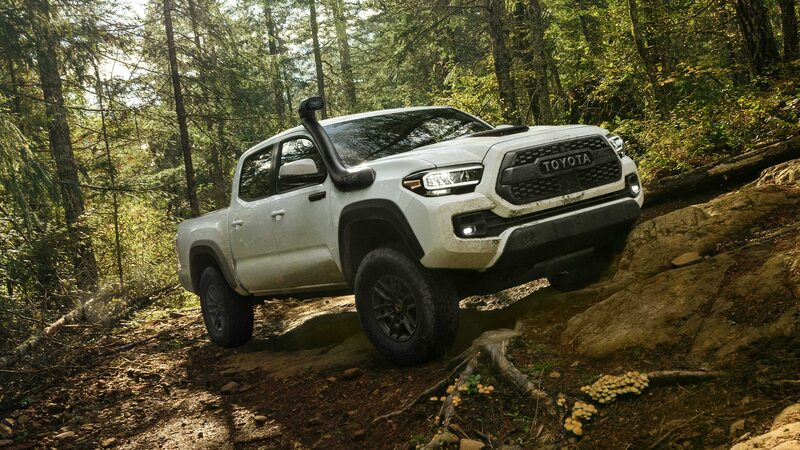 The package includes a receiver hitch, transmission cooler, engine-oil cooler, power-steering cooler, 130-amp alternator, four- and seven-pin connector with converter, and trailer-sway control. 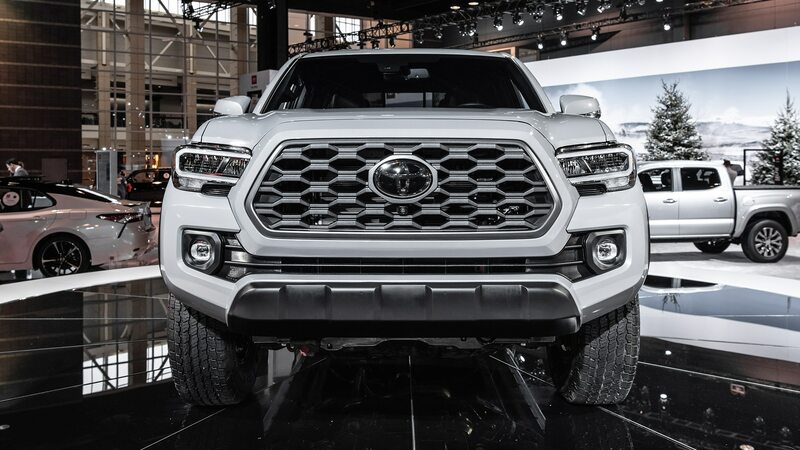 The Taco’s shell still sits on a 127.4-inch wheelbase, while regular cabs have six-foot beds and double cabs five-footers. 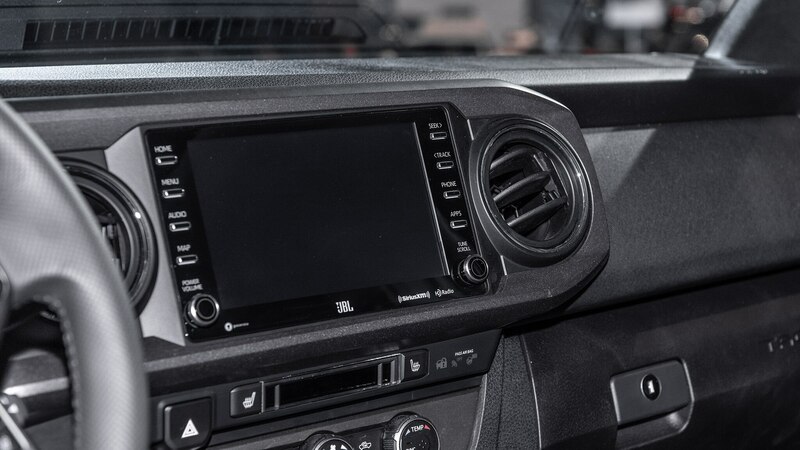 Inside, every Tacoma gets an upgraded audio system and larger 7.0-inch standard or 8.0-inch optional touchscreens that are Amazon Alexa, Android Auto, and Apple CarPlay friendly. 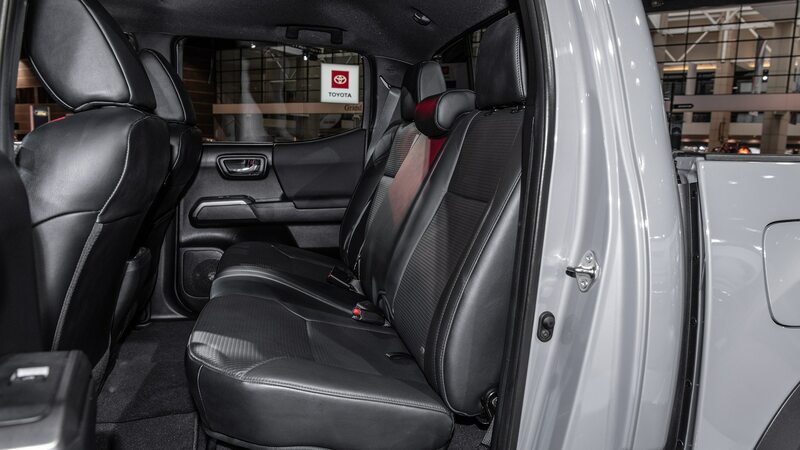 Aside from a new grille, the work-oriented SR makes like it’s 1989 and adds an intermittent wiper function and an optional bed light. 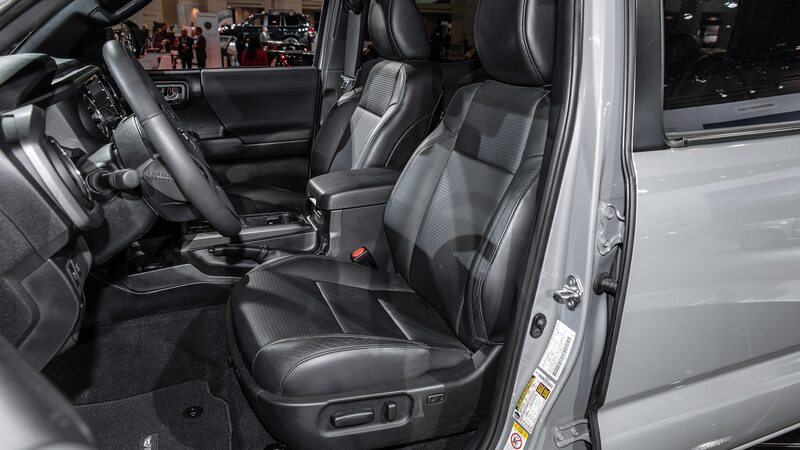 SR5 models and higher get a new 10-way power-adjustable driver’s seat with power lumbar support, while the SR5 itself gets a new 16-inch dark-satin wheel, darker taillights, and redesigned cloth upholstery. 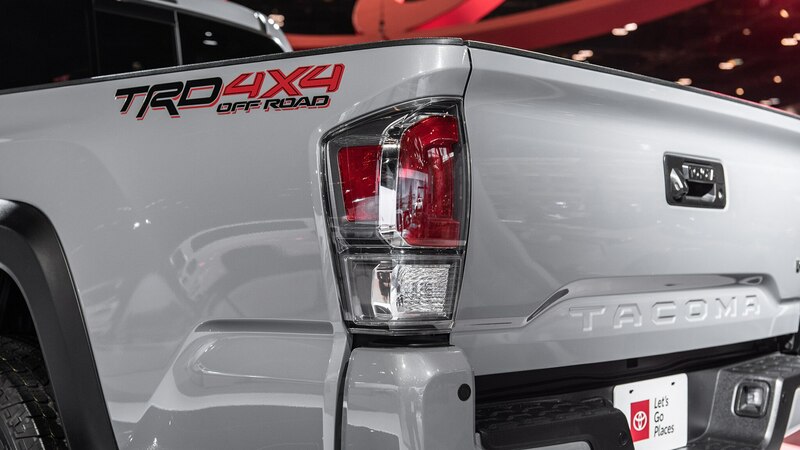 The TRD Sport gets all of the above plus a smart key, chrome taillamp inserts, LED fog lights, and 17-inch wheels. 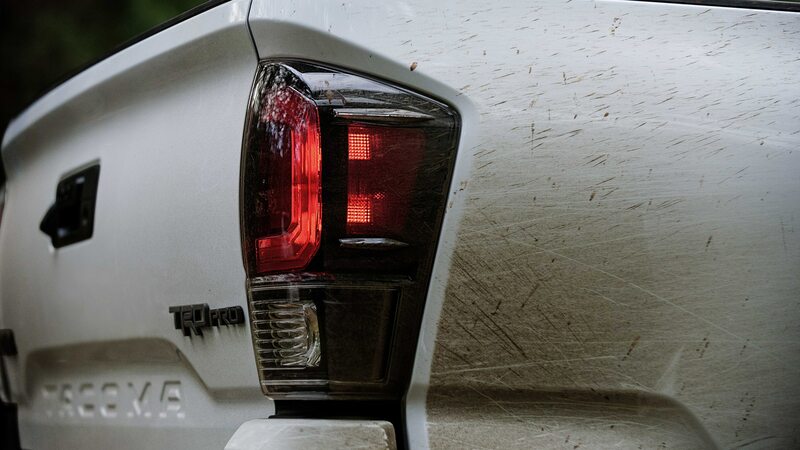 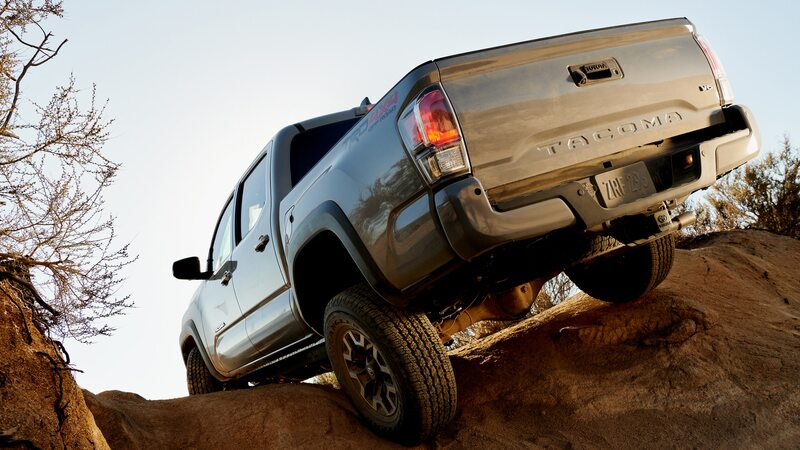 The Tacoma TRD Off-Road builds on that with TRD-tuned Bilstein shocks, a locking rear differential, hill-assist control, Multi-Terrain Select, and crawl-control as standard. 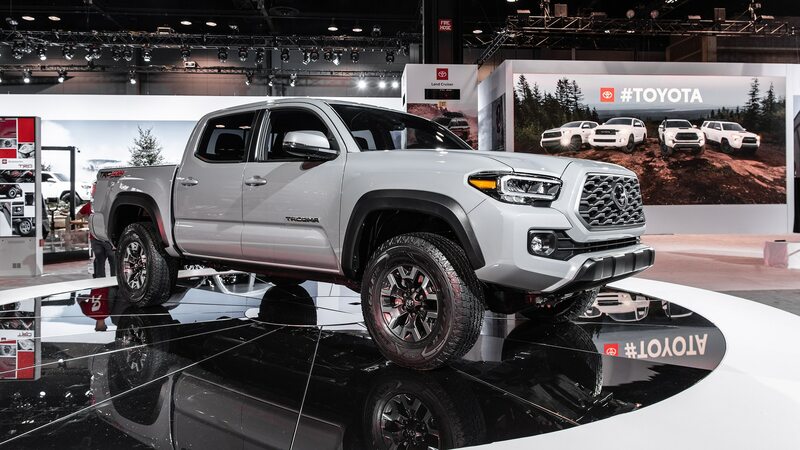 The Tacoma TRD Pro was also updated for 2020 along with the rest of the TRD Pro lineup, which now includes the Sequoia. 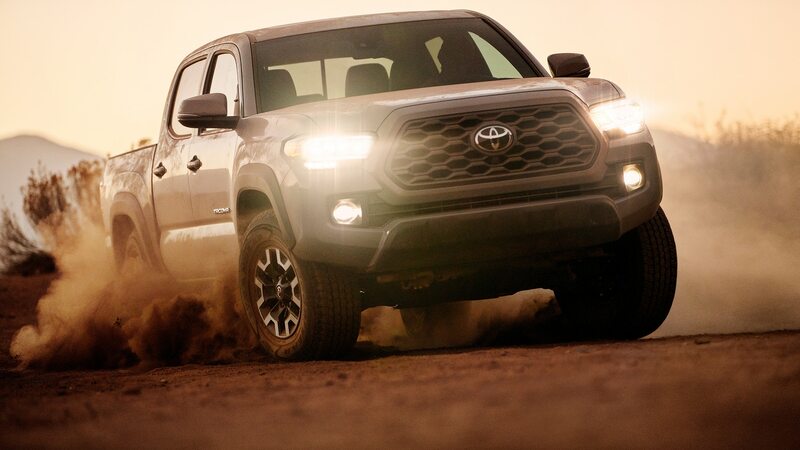 The top-of-the-line Limited rolls on 18-inch wheels and receives standard LED daytime-running lamps and headlamps, chrome taillamp inserts, and the new Panoramic View Monitor that reveals views around the entire truck. 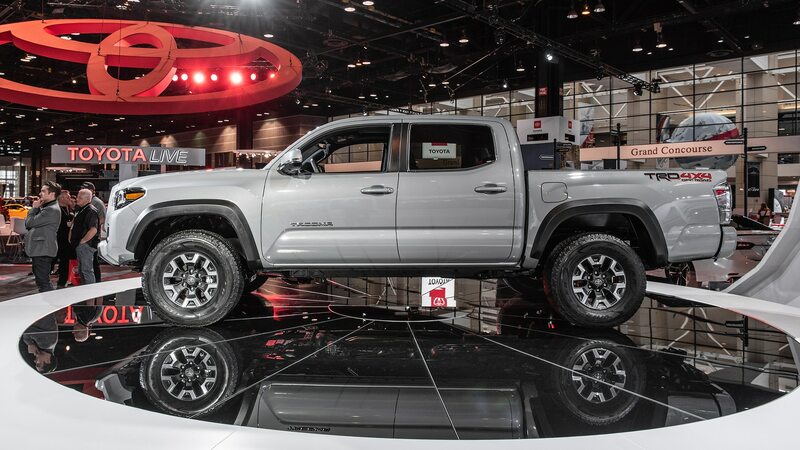 (We can’t wait to wave a hand under the side-mirror cameras and pretend like a giant is trying to eat our Taco.) 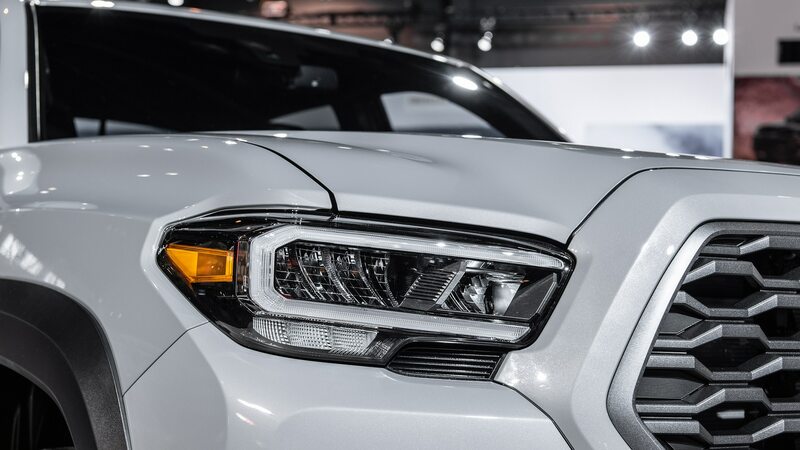 Toyota Safety Sense P is included across the board and brings pre-collision braking with pedestrian detection, lane-departure alert with sway warning, automatic high beams, and dynamic cruise control. 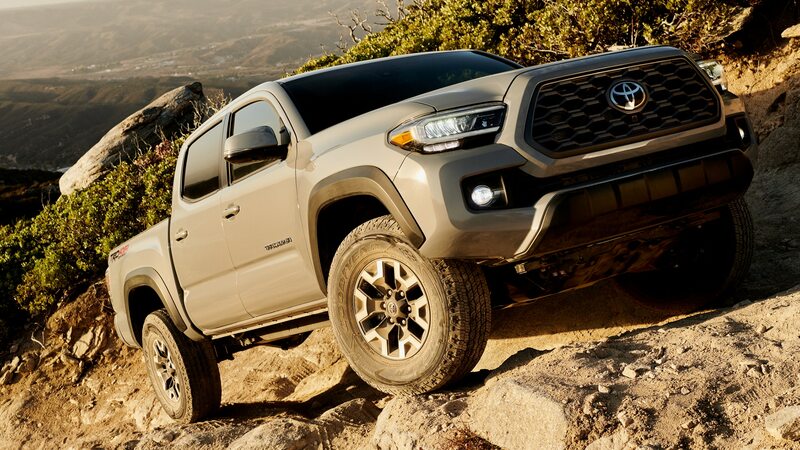 U.S.-market Tacomas are assembled in San Antonio, Texas, and in Baja California, Mexico, and the truck is in a particularly hot segment right now; the updates should help in the fight to fend off the new Ford Ranger and Jeep Gladiator, and the Chevrolet Colorado and GMC Canyon remain threats. 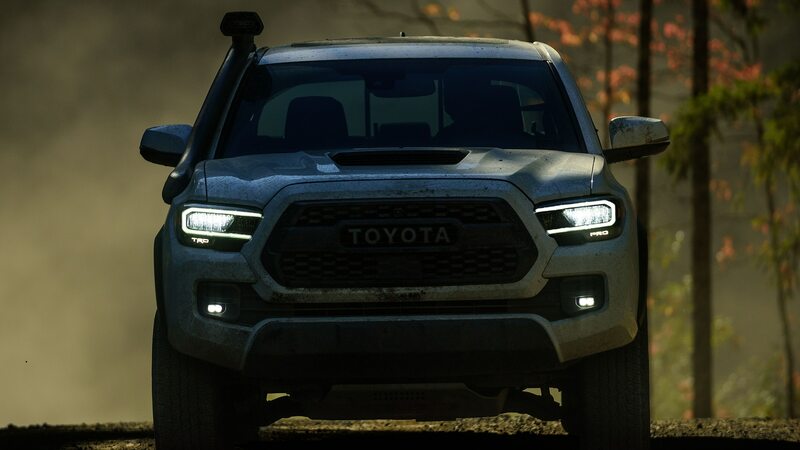 Pricing for the 2020 Tacoma should be announced closer to the on-sale date later this year. 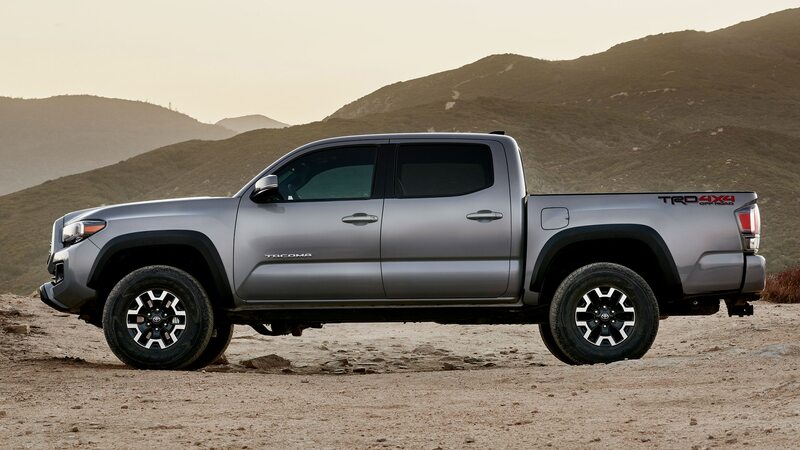 We’ll close with a tip: The best day to buy a new Taco—or any new car—is often Tuesday. 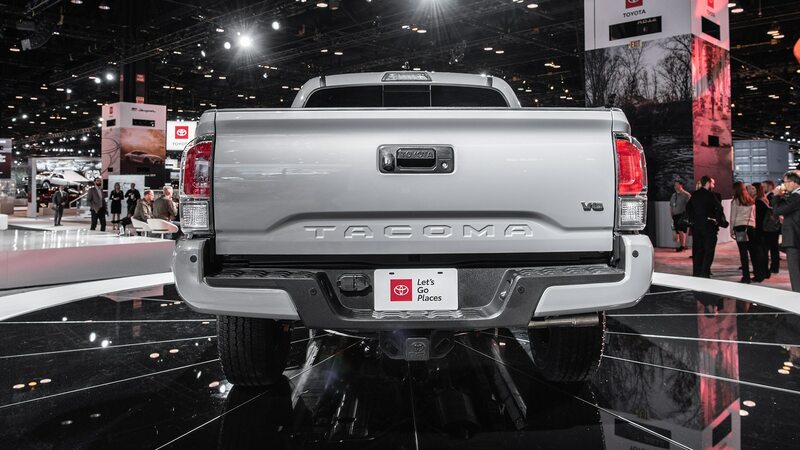 A refresh of the current Tacoma is coming to the Windy City.